Designing the Border Wall? - Archpaper.com Designing the Border Wall? Recently, Archdaily announced, on behalf of the Third Mind Foundation, a competition called “Building the Border Wall.” Perhaps in response to emerging criticism about the ethical implications of such a call to architects, the competition website later added a question mark to the title, changing it to “Building the Border Wall?” Since the competition was announced, as noted by Archdaily, several other edits have been made to the competition website, creating some controversy about the clarity of the competition’s agenda, the position of the organizers, and moreover, the moral implications of the competition itself. What further raises questions about this competition is the organizers’ insistence that they are “politically neutral” to the issue of building a wall along the border and that wish to remain anonymous. 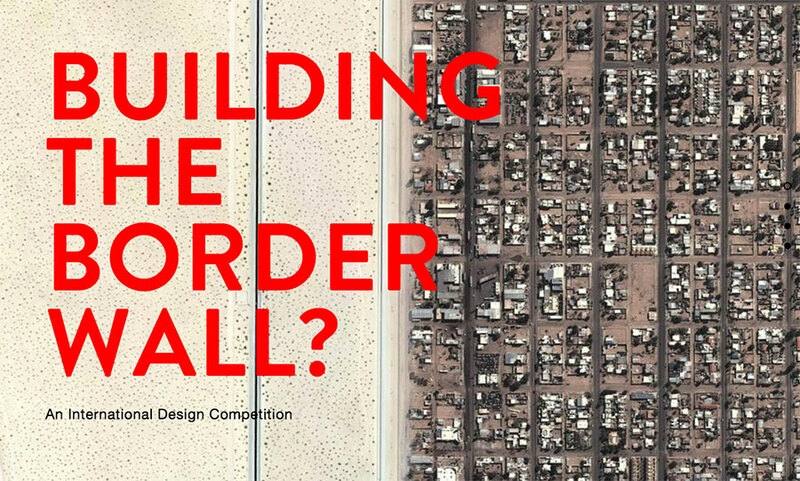 The primary question that this competition raises is: Is participating in a design competition for a wall along the U.S.-Mexico border a good idea? 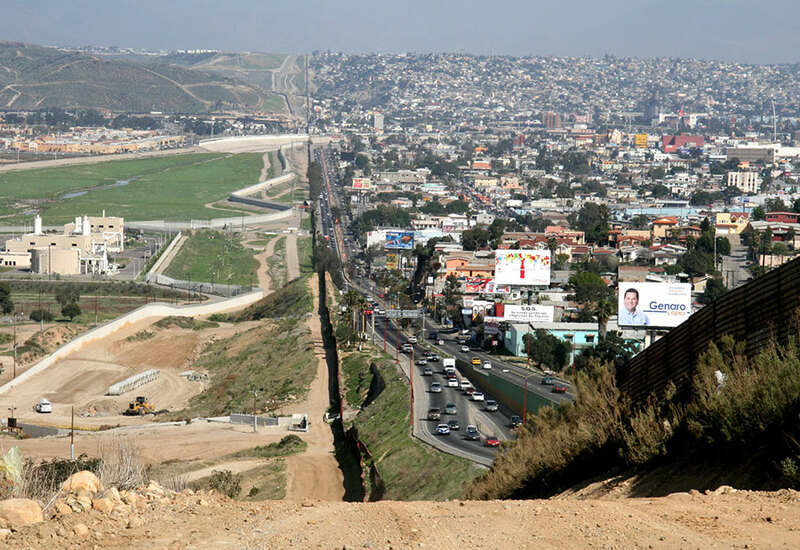 The competition echoes, and perhaps has been prompted by, presidential candidate Donald Trump’s proclamations that he will, if elected, begin “building a wall” along the border. While his declaration seems to excite his audiences as if, finally, someone will build a wall, his call to construct a barrier exemplifies the ignorance of the realities along the border where approximately 700 miles of single, double, and triple walls are already built. This is not one single stretch of wall, but still, approximately one third of the 1,954-mile-long border between the U.S. and Mexico has already been walled off. Historically, there have been several approaches to architects engaging in the building of walls. For the most part, architects and designers have steered clear of this issue. In 2006, The New York Times called on 13 well-known architects to redesign the border wall. Architect Ricardo Scofidio commented, “It’s a silly thing to design, a conundrum. You might as well leave it to security and engineers.” Diller Scofidio + Renfro and several other architects declined the challenge altogether because they felt it was a purely political issue, something from which many architects shy away. However perfunctory—and sometimes offensive—many of the proposals were (Antoine Predock suggested a 300-foot-wide hot plate buried under the desert floor to discourage crossings and a massive rammed-earth wall to be constructed in the hot sun by “Mexican day laborers”), some proposals did scratch the surface in recognizing the inherent opportunities of the existing wall as a possible armature for design. In its current state, the wall ignorantly bisects many culturally and environmentally rich places. Therefore, perhaps design offers the potential for the wall to be transformed into a variety of interpretations and applications, ideally ones of benefit to borderland residents. The reality is that the U.S.-Mexico wall in its current manifestation has created a territory of paradox, horror, and transformation on an enormous scale. The wall divides rivers, farms, homes, Native American lands, public lands, cultural sites, wildlife preserves, migration routes, and a university campus. 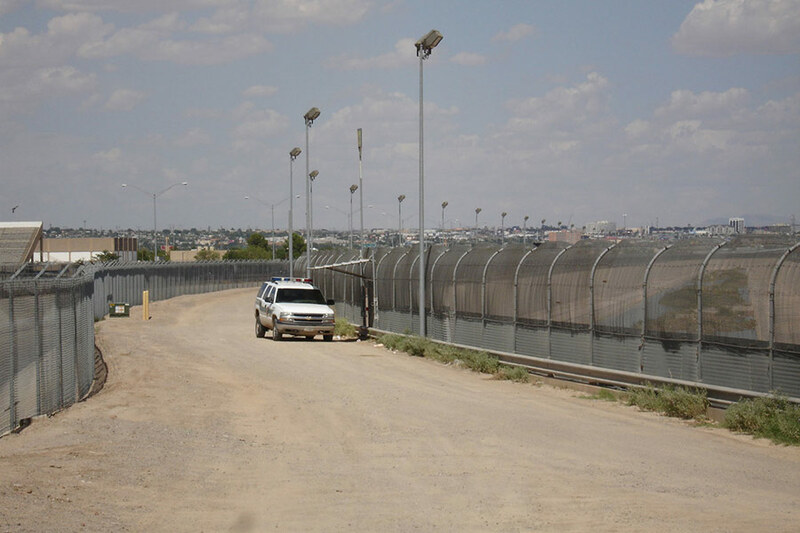 The construction and maintenance costs of wall construction that is called for by The U.S. Secure Fence Act of 2006 have been estimated to exceed $49 billion over the next 25 years. And while recent statistics show a 50 percent drop in the number of people caught illegally entering the United States from Mexico over the past few years, human rights groups put the number of deaths during attempted crossings at its highest since 2006, and nearly 6,000 people have died attempting to cross the border since 1994. Disgust with the corrupt enthusiasm and extravagance of our burgeoning ‘prison industrial complex;’ objections to our insane rates of incarceration, our cruel, draconian sentencing practices and the wildly disproportionate imprisonment of minorities. Designing spaces of confinement and discipline is also contrary to what most architects imagine as their vocation: the creation of comfortable, humane, even liberating environments. The parallels between prisons and the “border industrial complex” are easy to imagine, but can the design of a wall create humane, or even, liberating environments? Architect Lebbeus Woods offered a different approach toward that end. In his project The Wall Game, Woods concluded that the only way to address an architecture of violence, and in this case he is addressing the Israeli Separation Barrier, was to design a means to dismantle it through a complex set of rules that direct architects and builders on both sides to attempt to create a series of constructions on the wall that eventually force it into an imbalance that theoretically topples the wall. So what are architects to do about the conundrum of the border wall? Do they ignore the issue all together or actively protest in refusal to participate? Do they strategize how design might dismantle the existing wall, or re-think the potential of the existing wall as an armature for correcting problems with it? Should they take on the challenge of designing new walls? Ignoring the issue entirely and designing new walls, are perhaps the most contentious strategies. Wall design and construction will, without question, continue, but should it continue without the input of architects? Does not participating in the design of the wall make architects as complicit in its horrific consequences as does participating in its design? Now that we are aware of the costs to taxpayers as well as the cost in human lives, it is urgent that we take on these questions. Re-envisioning the existing walls as well as walls-yet-to-come as something other than an architecture that exacerbates the violence that institutionalized its presence and transforming the wall into an infrastructure that can be put to work in other ways, is more necessary now than ever before. In its current form, it reflects the inflexibility of an ancient strategy of a wall as a singular means of security. Instead, it could be reimagined not only as a security measure, but also as a productive infrastructure that contributes positively to a borderland ecosystem, breaking the cycle of violence from where it comes. For example, coupling the wall with a viable infrastructure that focuses on water, renewable energy, and urban social infrastructure, could be another pathway to security and safety, both in the border communities and the nations beyond them. According to the United States-Mexico Health Commission, three of the ten poorest counties in the United States are located in the border area, and two of the ten fastest-growing metropolitan areas in the United States—Laredo and McAllen—are located on the Texas-Mexico border. Due to rapid industrialization, communities on the Mexican side of the border have less access to basic water and sanitation services than the rest of the nation. A commitment to multifunctional water, solar, environmental, and social improvements on the border, with the wall itself as the vehicle of delivery, would require that a portion of the vast investment of taxpayer dollars in capital expenditures be maintained. 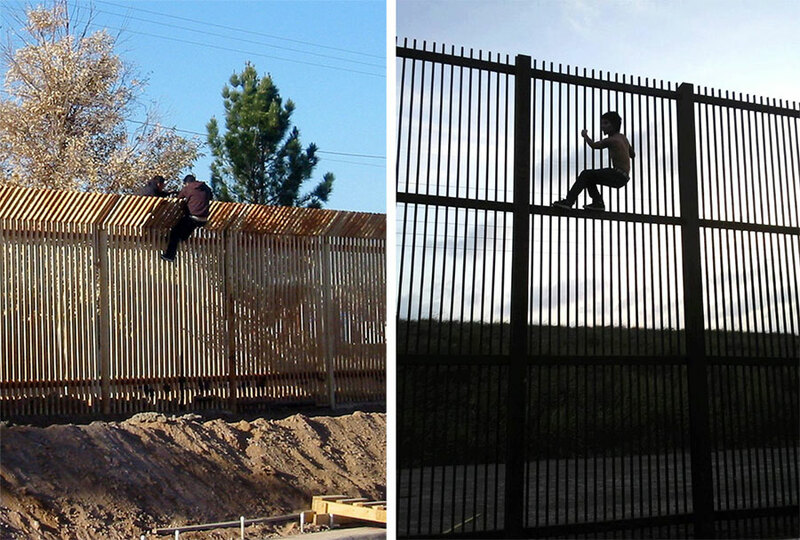 Instead of a future scenario in which walls are dismantled solely in the name of freedom and democracy, the walls designed in response to a much-needed investment in some of the most impoverished and fastest-growing regions in the U.S. might remain, as would our investment in them, to become the armatures upon which the possibilities of a post-border wall world can be grafted. Whether Trump is elected or not, it is time to advocate for a reconsideration of the wall. And rather than an embargo on Mexico, which, as Trump believes, will force Mexico to build it, we must end the embargo on multifunctional design at the border. Advocating for a reconsideration of the wall at the border is not an endorsement for the construction of more walls, nor should it give wall builders a greater reason for building them. 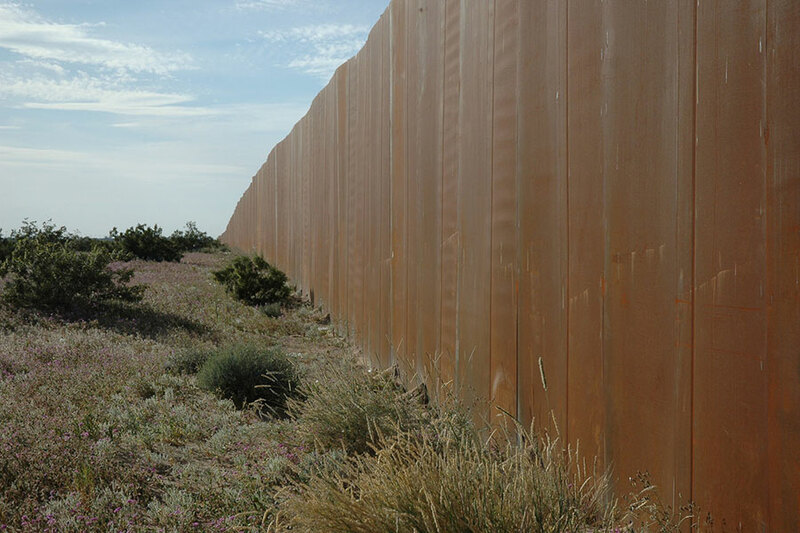 Rather, if design—if architecture—can be smuggled into the creation and re-imagining of the border wall now, it will put into place several very important conditions that will affect the future of the landscapes, cultures, and bio-ecologies that it now divides. There is one more strategy that architects should consider if they take on the challenge—if an appeal is being made to tear down this wall, as others have demanded it, then what replaces it in the future must absolutely be designed now.